For a long time website owners have been told they should try to optimise the speed of their site. Now that recommendation has become VITAL if you want your site to succeed. There are two reasons that site speed is now VITAL if you want your online business to succeed. Let us take all the time and stress out of speeding up your site.. So Why Is Speed So Important? Let us share with you the two main reasons you simply MUST have a fast WordPress website. Like it or not your sites visitors expect your site to be fast. So what is fast? This may shock you. Your pages need to load in UNDER 2 seconds. The further under 2 seconds the better for your sales or sign ups. If an e-commerce site is making £1,000 per day, a one second page delay could potentially cost that site £25,000 in lost sales every year. Like us, you probably spend a lot of time and or money bringing visitors to your site. It makes no sense to lose them to slow site speed. Search engines like google are increasingly including site speed in their algorithms for ordering search results. To cut a long story short and skip the tech talk, slower sites will appear much lower in the search results than faster sites. This could put your site on page 10 instead of page 1 of the search results and mean you get very few visits from search engine traffic. What Causes WordPress To Load Slowly? The WordPress theme being too bloated with code. The quality of the web hosting. This varies MASSIVELY. Cheap hosting is rarely fast and may be more expensive than you think when you take into consideration the lost sales and visits mentioned above. The wrong set of WordPress plugins. All plugins are not equal some are well coded some are not. A bad configuration of plugins and site. Run a detailed speed check on your site to see where the problems lie. Install and configure new plugins to help speed up your site. Correct as many of your speed issues as we can. Advise you of plugins you may want to replace. Advise you of other changes that may help improve your speeds even further. When we have finished we will provide a new speed test showing you the speed improvements achieved. While we can not guarantee you the best speeds possible if your site is not hosted with us, we can certainly speed up your site or we will give you your money back. Just so you know we offer this service free of charge to clients who are on our fully managed WordPress Hosting Packages. 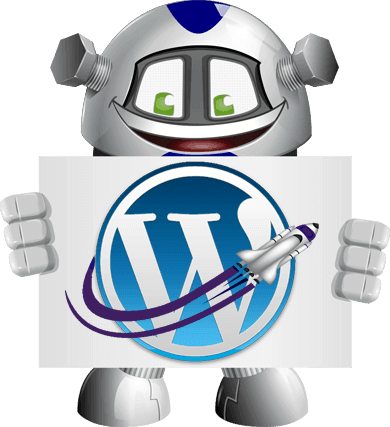 Our servers are specially optimised for WordPress and are located in both the UK and the US. We will also move your site to our servers for you should you decide you want better hosting. Before you order please take a look at the WordPress speeds we get for our own clients. (Opens in a new window so you do not lose this page) This should demonstrate to you that we know what we are doing. We are passionate about speed, we can promise you we will get the best performance we can from your site based on the speed of your hosting.